At 29, she owns several business lines like Obai & Hill, Sukkar, Sketchbook, O Talent, Barrel & Drum and Malja. 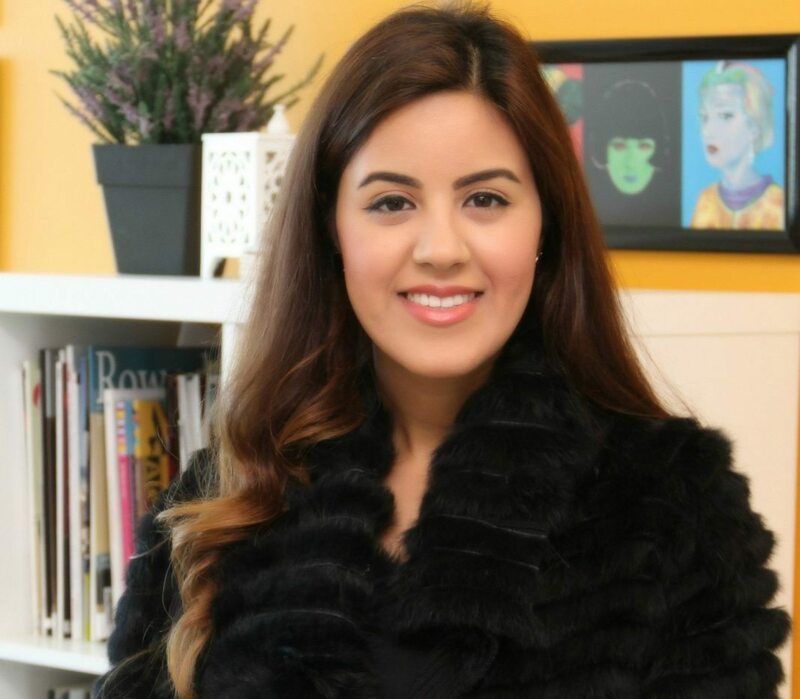 Meet Wafa Obaidat, the face of youth, zeal, enterprise and the most prominent name in youth entrepreneurship in Bahrain! What brought you to start up an independent venture? A graduate of the Chelsea College of Art and Design, I worked with Vogue Nippon and designers like Liza Bruce and Marko Matysik of Big/Show Magazine. The idea for Sketchbook was born out of my desire to build a platform to support emerging artists and designers. Initially focused on the U.K. but later expanding to the Arab world, Sketchbook is an online magazine that looks like it was printed in actual sketchbooks, showcasing underground fashion, art, illustration, photography, and design. With neither funding nor advertising, I was armed only with my passion for design and persuasive charm. After launching Sketchbook, I was offered the opportunity to become editor of Dia-boutique, which was the number one e-luxury site in the Middle East at the time. I had also been reporting for High Life Dubai, Borderline, and Prim Magazine in New York as a fashion journalist and contributor. It was then that I decided to launch my own agency Obai & Hill, offering bespoke creative services and solutions in the areas of design, PR, marketing, and digital. Some of my London projects have involved designing pop-up spaces on the trendy Carnaby Street and the Clothes Show Expo in Earl’s Court. In Bahrain my client portfolio has included big brands like McDonalds and Vapiano, and local brands like Bahrain Flour Mill and Green Diamond. Obai & Hill has been around for a while now. How has it grown or evolved?. It has differently evolved form a branding and PR company into more of a communications agency with a focus on public relations. We also have grown from working with individuals, start-ups, and entrepreneurs to working with large medium, and corporate projects. We are growing and expanding year on year. Please mention some awards/grants/recognition that Oba & Hill has acquired so far. What have been the major challenges in your path of success so far? I started my Bahraini operations with a senior designer, an accountant, and an account manager, hiring them organically and one at a time as she secured new projects. Today, my team consists of nine 20-something year olds who see themselves as creative problem-solvers driven by elevating their clients’ brands. Another barrier I faced is access to capital — despite Obai & Hill’s high growth figures (233% in its second year, and 70% the following year). “I attempted to close two investment deals but I had to drop out due to the lack of professionalism from my potential partners. We still need to educate investors on how to invest in startups, and for startups to learn how to deal with investors. I think there is a massive gap in the educational process in that sense. What are the basic qualities an individual needs to take the bold step to start up something on their own? As an entrepreneur you need to extremely driven and focused on achieving your goals, you also need discipline to achieve those things, understanding that you will have to sacrifice social events and time with loved ones to go the extra miles to do sales and expand your business. You also need leadership and visionary skills to be able to create goals and manage teams to get to your goals. Where do you see Obai & Hill in the next 5 years? I see Obai and Hill as a Holding company expanding its businesses into retail products, distribution and the F& B industry. What kind of help and support do you seek to help reach your goal? I need investors for two new products I launched; I am also looking for partners in Oman, Qatar and Saudi to expand our agency business across the region. What according to you are the strengths of the youth of Bahrain as a collective entity? Our biggest assets are our people, and our energy and our creativity. We have to be creative and on our feet because we do business in a small competitive market. What is your message to budding entrepreneurs in the country? Don’t settle, figure out what you love to do and do it for a living.